It was time to re-invent travel and bring it into the 21st century. Brightline is the first private intercity passenger railroad in the US in 42 years. The power of connectivity was our design goal, and we were committed to providing this through the lens of hospitality. To create a compelling travel experience in a state dominated by cars, we built the brand from scratch, sticking to our mission of connecting people, communities and culture in space. 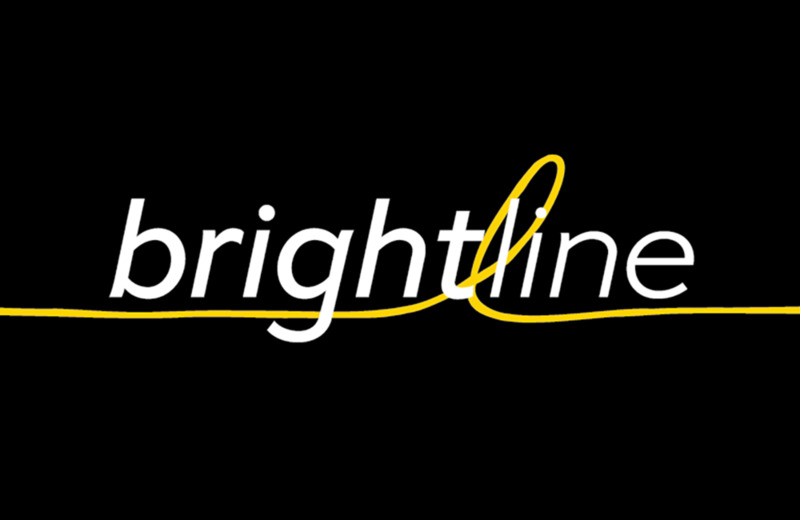 Brightline maintains a network of travel services that provides the best door-to-door experience, taking passengers to stops in Miami, Fort Lauderdale, West Palm Beach, and Orlando. It was important to us that connections were being made both at an emotional and practical level. After months of research, we developed the travel concept, Brightline name, brand positioning, visual identity, and design of the trains. The result is an entirely new travel experience, offering the most reliable Wi-Fi, fresh on-the-go food, clean accommodations, and immersive entertainment. Full service between Miami, Fort Lauderdale, and West Palm Beach began February 2018! Brightline is a new passenger railroad designed through the lens of hospitality to provide an unbeatable travel experience that connects individuals in a meaningful way.